5:30 PM The Rosary will be recited. 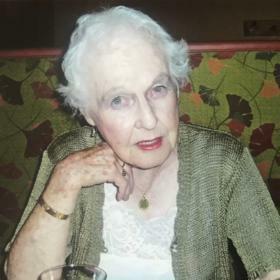 Vivacious, compassionate, and loving, Norreen Margaret (Cloney) Roberts lived a heart-centered life rich in family and friends. While Norreen stood firm in her convictions and was known to be outspoken, she was also open-minded, accepting, and tolerant. In many ways, she was ahead of her time. All were welcome in her home, and she never held a grudge. With resilient determination and boundless generosity, Norreen was larger than life and inspired all who were blessed to share time with her. A treasure to all who knew her, Norreen’s vibrant legacy will long live in the hearts and lives of those she loved. The 1920s were marked by tremendous confidence, prosperity, and previously unknown comforts. The economy boomed, wages rose for most Americans and prices fell, resulting in a higher standard of living for most. With the inventions of the washing machine, vacuum cleaner, self-winding watch, bulldozer, the instant camera, drive-in restaurants, Band-Aids, and the convertible, the post-war era marked significant advancement and morale flourished throughout the land. This vibrant time grew even more brilliant on May 24, 1927, as Cecil and Helen (Cavanaugh) Cloney welcomed their daughter Norreen into their hearts and home. Norreen’s earliest years were spent in Martin, Michigan. Here her father worked as a farmer. He raised dairy cows and hunting beagles in addition to his general farming. The second of the Cloneys’ three daughters, Norreen spent much of her time in the good company of her older sister, Colleen, who grew to be her best friend. When she was 10 years old, her younger sister, Mary, was born, and Norreen became a proud older sister. The Cloney home was firmly rooted in the values of faith, education, and resourcefulness. While there were few Catholics in Martin, the Cloneys made the long trip to attend mass at the Catholic church each Sunday. Norreen attended Martin schools, and at dinner, the family often talked about the importance of education, even quizzing the girls on their spelling lessons. As a result, Norreen grew a sizeable vocabulary! Norreen’s mother was also an accomplished seamstress who taught her daughter to sew. Soon Norreen developed a love of fashion as well as a knack for creating beautiful things from minimal resources. At the age of 8, Norreen began taking tap dance lessons, and she loved it. She also learned to play the violin. While she loved dancing and playing the violin, she did not love farming! She especially despised picking pickles. While in high school, Norreen’s family moved to Kalamazoo and Norreen transferred to Nazareth Academy. She continued to play the violin and was a cheerleader. Her grandmother lived across the street from Nazareth which afforded Norreen a lot of opportunities to spend time with her. In addition to her school work, Norreen also worked at the soda fountain at Washington Square. Norreen graduated from Nazareth in 1944. 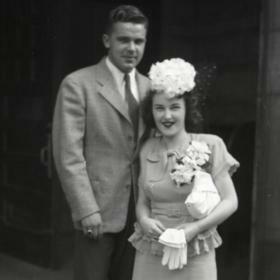 In 1946, while attending a dance in Three Rivers, Norreen met the love of her life, Harold Roberts. Immediately smitten with the petite and mighty Norreen, Harold asked for her phone number. When neither had a way to write it down, he took his keys and carved her number onto the dashboard of his car. A newly returned navigator on a B-17 in the Army Air Corps, Harold wasted no time in calling Norreen. They began dating and soon set their eyes on a future spent together. Just a month or two after meeting, the happy young couple married on August 15. In a simple ceremony at the justice of the peace, Norreen and Harold exchanged their vows, with her sister Colleen and Colleen’s new husband, Jim Duncan, serving as witnesses. The newlyweds settled on Long Lake in Portage and shared this first home with Colleen and Jim. Married around the same time, Norreen and Colleen raced to have kids.  In time, Norreen and Harold were blessed to welcome three children into their family. Michael, Patty, and Tim quickly became the center of Norreen’s world, and she relished staying home with them. As their family grew, so did their needs, and Norreen and Harold moved to the Oakwood neighborhood. In the early ’50s they built a house in Milwood. Regardless of where they lived, Norreen made sure her home was warm, welcoming, and supportive. She always had an open door and everyone was welcome at her table. Always generous with her resources, talents, and time, it was easy to feel at home in her presence. As the kids grew older, Norreen returned to her early loves. She danced and picked up the violin again and continued playing well into her 80s. Norreen loved to learn, loved people, and loved to be of service. 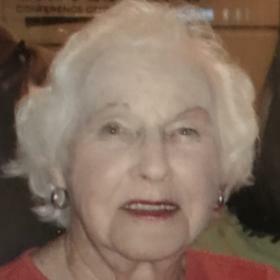 For a time she worked as a hostess at Town and Country grocery store. She then moved into the office as bookkeeper. A natural numbers person, Norreen flourished at the job. Later she worked at a computer training school. Eventually, Norreen became a licensed real estate agent. It was the perfect job for her. For nearly 20 years she worked for Rod O’Brien Realtors, helping people make their dreams come true. Gregarious in nature, it seemed like Norreen knew everyone in Kalamazoo! After retirement, she and Harold started a metal fabrication business. Though they started with nothing, Norreen’s keeping of the books and managing of the money, coupled with Harold’s hard work, proved a winning combination. When not working, the Robertses enjoyed an active social life that included many close friends from church and their neighborhood. They eagerly gave of their time and talents, volunteering and supporting various organizations including AMBUCS and Hackett High School’s annual cabaret fundraiser. They enjoyed playing cards, taking day trips and wintering near Padre Island in Brownsville, Texas, in their fifth wheeler. In 1998, shortly after purchasing a little cottage down south, Harold died suddenly. After six months of deep grieving, Norreen determined it was time to get back on her feet. Leaning into family, friends, and the things that brought her joy, she reinvented herself and was soon thriving. She moved into a condo with a beautiful lake view she loved, and was soon singing, dancing, and performing. She returned to tap dancing with The Time Steppers, a part of Prime Time Players, which she directed. An accomplished dressmaker, she designed and made all of their dance costumes. She also played violin in the Portage Senior Center Band for a number of years and volunteered at the Borgess Hospital gift shop. A voracious reader, Norreen never gave up on a book, and she read more than three novels a week. Extremely proud of her Irish heritage, she traveled to Ireland four times. One trip she took was with Colleen, and the sisters thoroughly enjoyed connecting with family roots. A member of the Kalamazoo Irish American Club, Norreen took her final trip to Ireland in 2005. Her Celtic pride was also evident in the wool capes she made for family and the tartan kilt she made for her West Highland Terrier, Duncan. 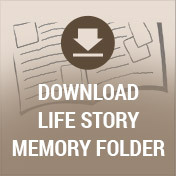 Norreen’s faith continued to be a cornerstone of her life. She always attended church on Sundays at St. Joseph Catholic Church, where she was a member from 1943. While attending mass, she particularly loved to join her voice in collective song with her beloved fellowship. She said the rosary daily with her treasured green Irish beads. She often participated in the church’s various women's groups and continued to learn about the Catholic faith. For those who knew her best, it is easy to say that “whatever she did, she was all in.” Once Norreen set her mind on something, it became a passion. Outspoken and honest, Norreen rarely hesitated to share her opinions. For the most part, she was willing to listen to others express theirs as well. A sports enthusiast, Norreen was a huge Michigan State fan. While she loved watching all sports, she especially loved MSU basketball. She knew all the players and all their stories, which she enthusiastically retold, and game times may be the only times she didn’t want to be interrupted! Despite her number of years, Norreen was never old. She remained vibrant, funny, accepting, supportive, energetic, active, and alive. Larger than life, Norreen lived each moment fully. In so doing, she gifted each of us with a role model for how to live an authentic and heart-centered life. While it is difficult to imagine life in the absence of Norreen’s bright presence, may the many fond memories of the dynamic woman we were privileged to know afford deep comfort. May it also afford comfort to know that we carry the best of her legacy in our own lives. Each time we cheer on the Spartans, dance with abandon, raise our voices in song, give of our time and talents, or share our table with others, we keep Norreen’s vibrant spirit shining and inspiring others as she so inspired us. 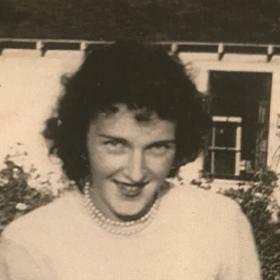 Aged 91, Norreen Margaret (Cloney) Roberts died peacefully, February 5, 2019, in the comforts of her home and surrounded by her family. Norreen is survived by her treasured children: Michael (Nancy) of Oxford, Miss., Patricia Hokanson (Chuck) of Kalamazoo, and Timothy (Catherine Snider) of San Jose, Calif.; four grandchildren: Angela Brightwell, Ashley Nelson (Carl), Erin Raderstorf (Lindsay Cox) and Eric Raderstorf (Angela); five great-grandchildren: Christian Nelson, Michael Nelson, Noah Raderstorf, Buddy Curry, and Lucy Raderstorf; and many nieces and nephews. Norreen was preceded in death by her husband, Harold, in 1998, and sisters Colleen Duncan (James) and Mary Probst (Gerald) in 2000. Cremation will take place. Visit with family and friends on Friday, Feb. 8 from 4-6 p.m. at the Betzler Life Story Funeral Home, 6080 Stadium Drive, Kalamazoo, (269) 375-2900, where the Rosary will be recited at 5:30 p.m. Mass of Christian Burial will be celebrated at 12 noon on Saturday, Feb. 9 at St. Joseph Catholic Church. 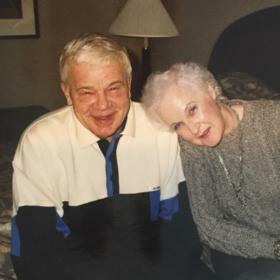 Please visit Norreen’s personal webpage at www.betzlerfuneralhome.com, where you can archive a favorite memory or photo and sign her online guestbook before coming to the funeral home. Memorial contributions may be directed to Catholic Charities.